Did you know that VFM’s producers grow over 150 varieties of tomatoes – everything from Green Zebra to Black Krim to Brandywine Pink? 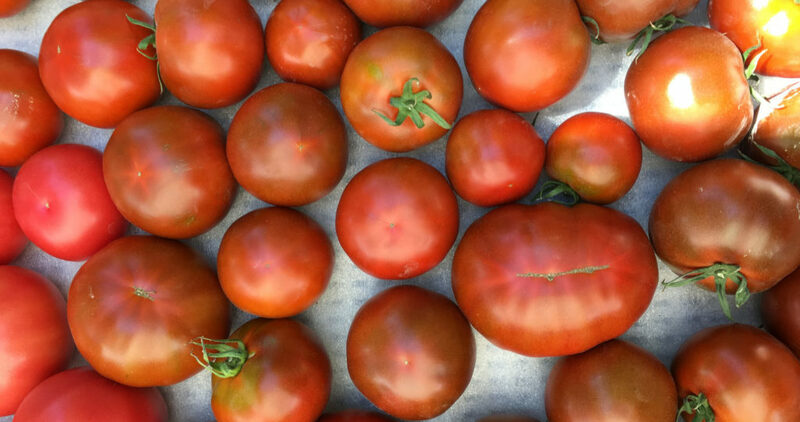 Many of these will be on display and for tasting at our 16th Annual Tomato Festival, taking place at Trout Lake Market on August 26 and Kitsilano Market on August 27. With so many colours, taste profiles, and textures, tomatoes are perhaps the most versatile of vegetables (fruits??) and find their way into culinary traditions across the globe. Soups, stews, sauces, garnish, salads, or just eaten raw – tomatoes are both pleasing to the palette and the eye. How to choose & store: tomatoes taste best fresh off the vine, making farmers markets the perfect source for them – many of our vendors pick them the day before (or sometimes day of) they come to market. Look for brightly coloured fruit that are not too firm – store them outside the refrigerator and out of the reach of sunlight, unless they need an extra bit of ripening time. Planning to can? 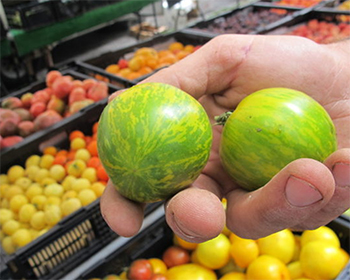 Check with your local farmer to see if they sell B-grade tomatoes at a reduced price for canning and preserving. Roast ’em: Try roasting your tomatoes with garlic in the oven instead of the traditional blanch and peel method for canning – the smokey flavour works great as a base for chilies, soups, and sauces. Get your vitamins: tomatoes are a great source of vitamin C, carotenoids such as lutein and lycopene, and potassium. 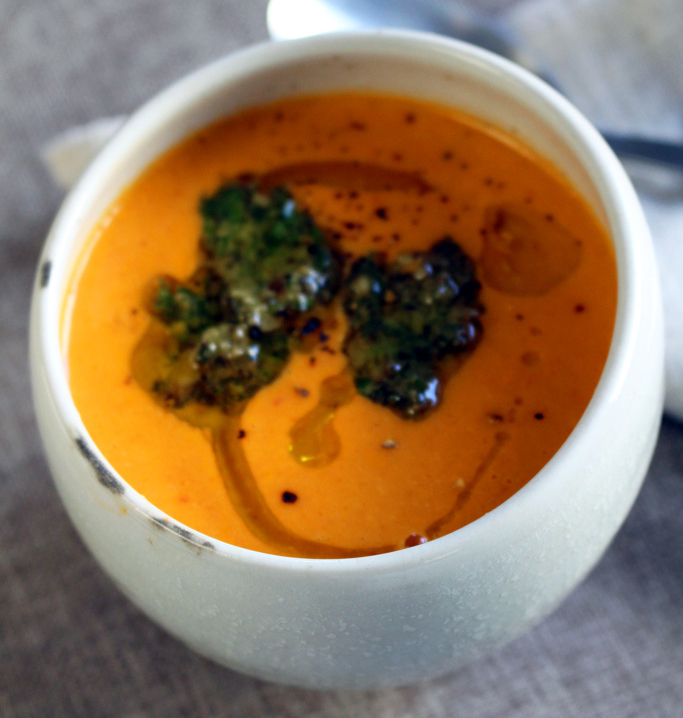 Cooking tomatoes actually boosts their nutritional qualities, making recipes like the Vegan Cream of Tomato Soup below from gardening blogger Rebecca Cuttler of Abundant City a heart-healthy and cancer-fighting power house.